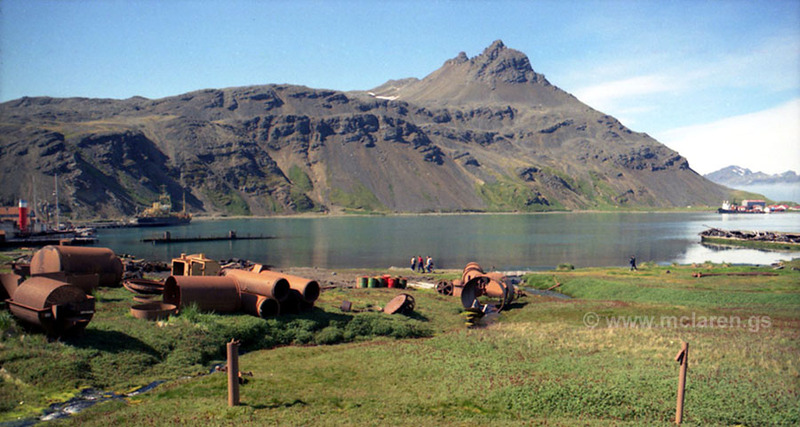 King Edward Point nestles under Mount Duse, seen seen centre right above the wreck of Louise. Left centre is Petrel, RMAS Throsk on the jetty, and the top of the floating dock. There is no landing strip for aircraft on the island, so all stores and mail had to be delivered by sea or by an air drop from the Falkland Islands. 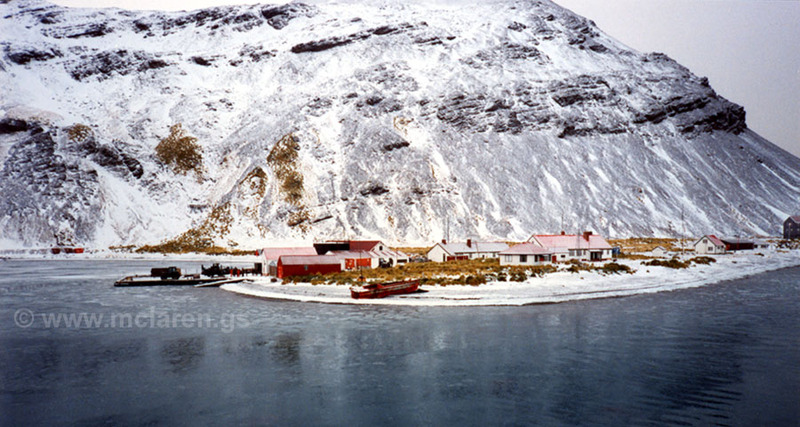 The garrison was accommodated in the aptly named "Shackleton House Hotel" - far right. 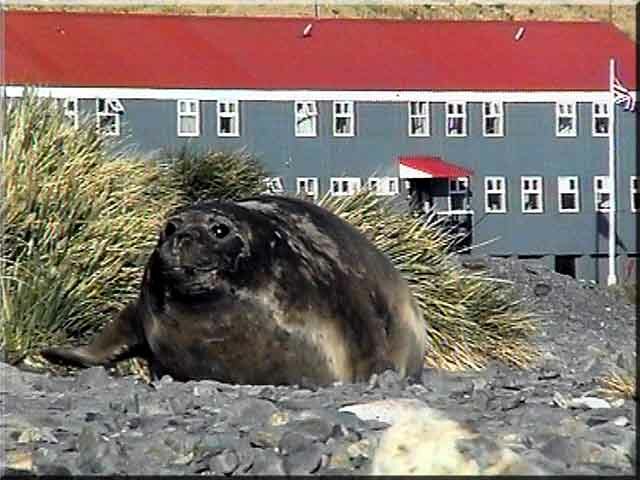 A female Elephant Seal wanders along the beach, with Shackleton House in the background. The Oil Mariner berths at King Edward Point. The Post Office (right) was one of the first buildings we saw. 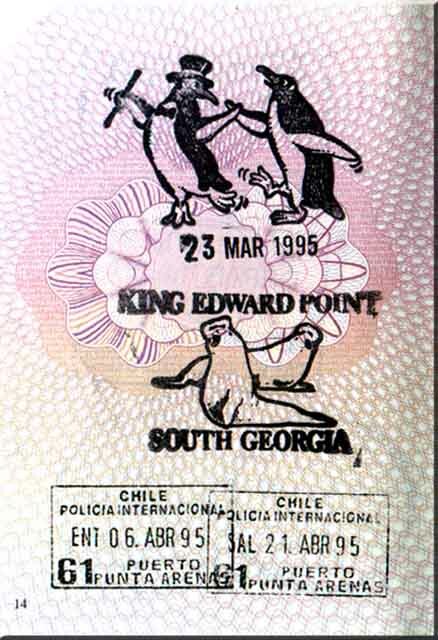 The passport stamp from King Edward Point, South Georgia. A short slideshow starting with two images from a Hercules aircraft sighting the islands prior to an air drop. They are followed by three images of the drop it's self. 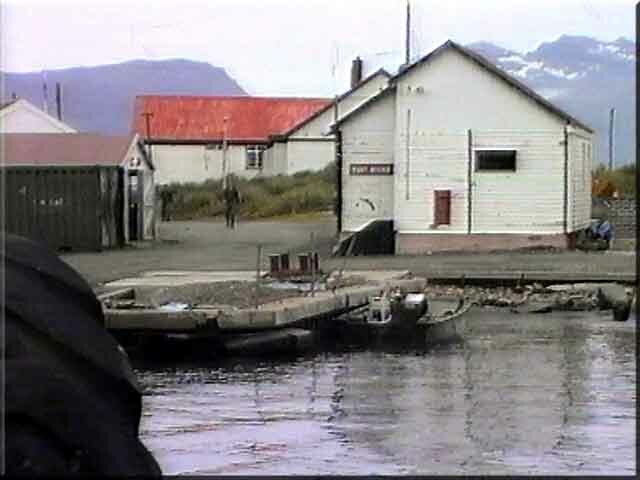 Next is a closer view of the Post Office, and an image of the "Oil Mariner" alongside at KEP. Another regular in the waters around South Georgia, was the American National Oceanic and Atmospheric Administration (NOAA) vessel "Surveyor". 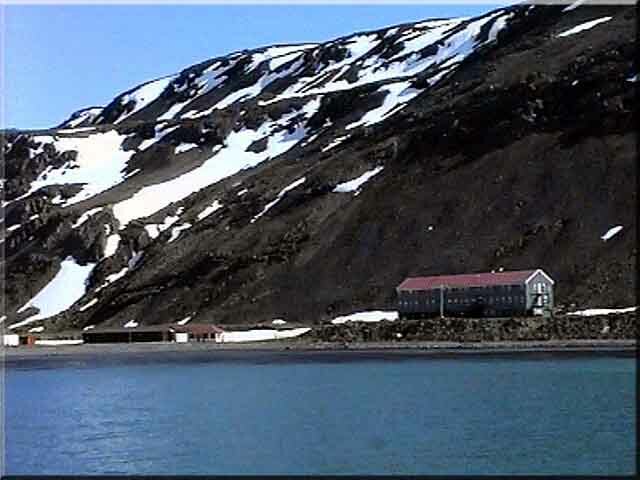 King Edward Point with snow and pancake ice.